Is It Through You?, directed by Katie Sopoci Drake in collaboration with Mountain Empire Performance Collective (MEPC), takes inspiration from Whitman's poem "To a Pupil" and highlights how individuality rests at the heart of social movements. Whitman prompts us with: "Is reform needed? Is it through you? The greater the reform needed, the greater the Personality you need to accomplish it." MEPC, using their signature long-distance collaborative method, will create pieces separately with a similar set of movement prompts. Presented separately, each piece and its musical accompaniment highlight each unique movement artist moving in their own choreographic voice; but when each are performed together, they create a cohesive single group work and a beautifully merged composition. This work asks how the deepening of individual character and spirit creates leaders and a movement worth following. Joy Davis - Mountain Empire Performance Collective (MA), is a dance artist, educator, and scholar. She received an MFA in Choreography and Performance from Smith College and a BA in Performing Arts through the College Scholars Program at the University of Tennessee, Knoxville. Joy began training in the Countertechnique with founder Anouk van Dijk in 2005 and completed the CTTT (teacher’s certification) as one four American instructors in 2012. Under the moniker joy davis project, Joy has premiered work in Northampton, Boston, Chicago, Nashville, Knoxville, Seattle, Philadelphia, and San Diego. 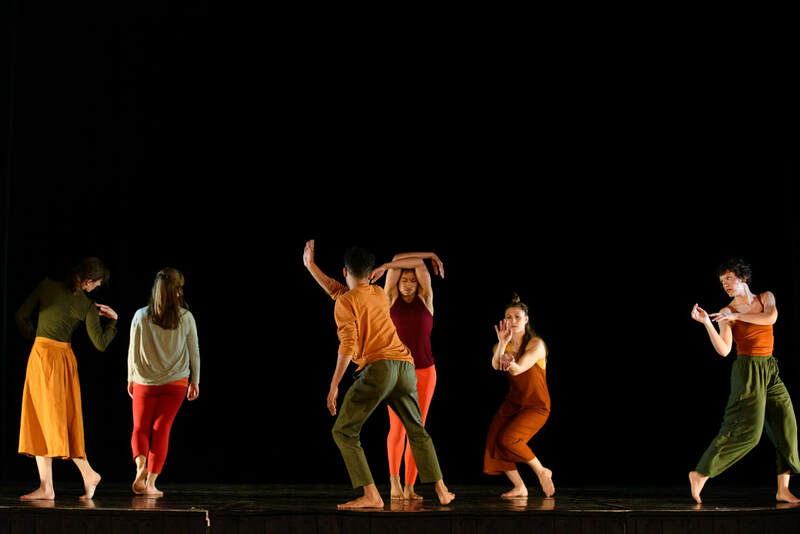 Joy co-curates the School for Contemporary Dance and Thought (SCDT) in Northampton, MA and is currently creating new works for New Dialect in Nashville and for Scottsdale Community College in Arizona. Joy has been on faculty at Smith College and Wesleyan University and has taught Countertechnique workshops at the Seattle Festival of Dance Improvisation, Gibney Dance (NYC), BodyVox (Portland), Fact/SF, New Dialect, Mocean (Halifax, NS), amongst many others. She recently joined the Dance Division faculty at The Boston Conservatory, and is a Visiting Lecturer at Harvard for the fall of 2016. Emily German - Mountain Empire Performance Collective (UT), is a mother, teacher, and performer. In 2005 German earned her BA in Dance from St. Olaf College. As part of her 4 years there she performed for KT Niehoff, Anthony Roberts, Janice Roberts and Sherry Saterstrom among others. During her stint at St. Olaf, she also discovered her love of children’s dance education while teaching classes at the Northfield Arts Guild. After graduation, Emily moved to Seattle, WA where she danced for Amy O’Neal and Rob Kitsos as well as Eliza Larson. While in Seattle, she taught at All That Dance and started a chapter of the National Dance Honors Society Nu Delta Alpha. The chapter began a Love Your Body week tradition that is now spreading to dance curriculums across the country. Since 2016, German has been performing as part of Compass Collaborative in Salt Lake City, UT. 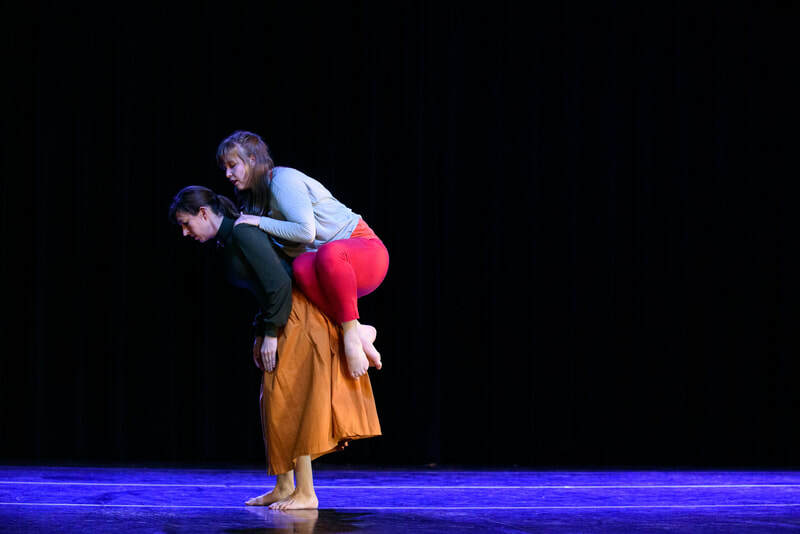 She was honored to bring to life the choreography of Katherine Goodell Call, Sara Yanney, and Heather Francis in Compass Collaborative's most recent production: A Subtle Point. Emily made a guest appearance via video in the MEPC’s 2013/2014 piece Everybody Knows This is Now Here. She officially joined the collective in 2017 and has enjoyed creating work in her living room and large outdoor fields with them via google hangouts ever since. Eliza Larson - Mountain Empire Performance Collective (OR) is an independent dancer, choreographer, and writer based in Portland, Oregon. She currently performs with Tahni Holt and creates her own work as Fault Line Dance. She has also danced in works by Kathleen Hermesdorf, Angie Hauser, Paul Matteson, Chris Aiken, Mark Haim, Deb Wolf, and Kristin Hapke among others. Her choreography has been presented around the country, including at the H Street Theater in Washington, DC; Conduit Dance Center and the Pacific NW College of Art in Portland, OR; the OK Hotel Gallery and Velocity Dance Center in Seattle, WA; Earthdance; and the Southern Vermont Dance Festival. Eliza is the author of Terpsichore’s Deck, a set of 52 choreographic cards to use in dance-making and performance and her primary research on gender in dance is to be published in a forthcoming book from the University of Florida press in early 2017. She has recently co-edited a special folio in the Summer/Fall 2016 issue of Contact Quarterly. 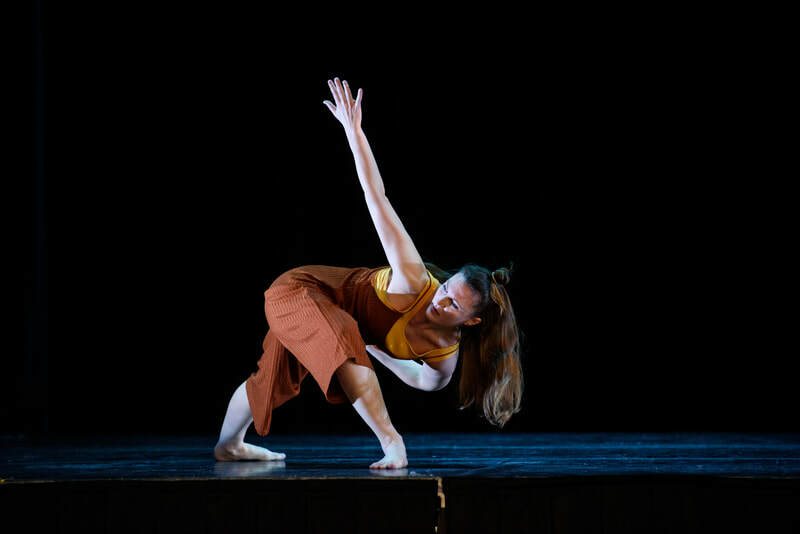 Eliza graduated from St. Olaf College with majors in Dance and English and holds an MFA in Dance from Smith College where she was a Gretchen Moran Teaching Fellow. 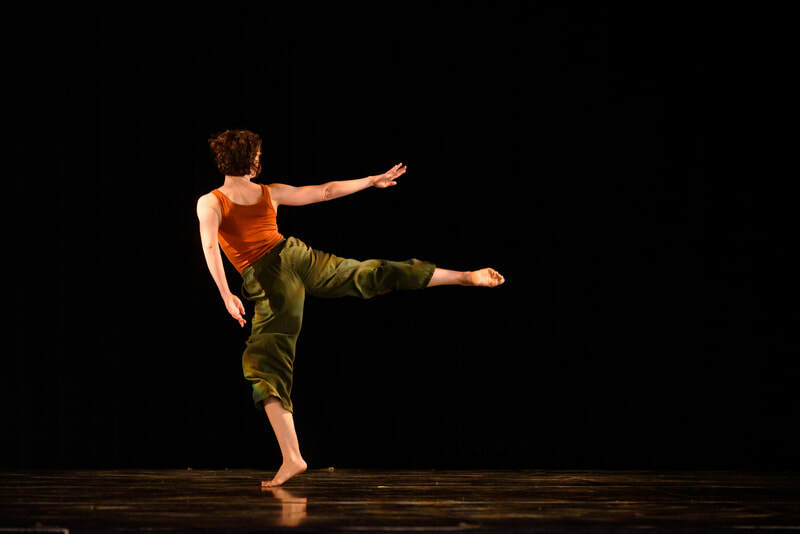 Rachel Rugh - Mountain Empire Performance Collective (VA), is a dancer, teacher, mover and shaker. During a four-year west coast stint, she performed with several Seattle dance artists including Pat Graney, Jurg Koch and Amy O’Neal. While in Seattle, her choreographic work was featured at the Seattle International Dance Festival, Lo-Fi Arts Festival and Velocity Dance Center. On the east coast, she has presented work at Movement Research (NYC), the Capital Fringe Fest (Washington, D.C.), and Black Mountain College (Asheville, NC). Rachel has been a guest instructor at Virginia Tech and Radford University. She holds a BA in dance from the University of North Carolina at Greensboro, and is currently pursuing an MFA in Dance from the University of Wisconsin-Milwaukee. Chartamia "Shay" Turner - Spacetime Dance (DC), is a choreographer, dance educator, and arts administrator in the DC Metro Area. A native of Illinois, Chartamia graduated with a BA in dance from Columbia College Chicago, 2013. While living in Chicago, Chartamia has collaborated with visual artists Jillan Soto and Murat Adash. Chartamia has presented works in the Chicagoland area including; Chicago’s Dance Month, LettersTo Obama, BeastWomen Series, Elgin Ties Dance Festival, Delve Showcase, and Joel Hall’s: Dances In The Hall. While in DC, she has had the privilege to perform with Nicole Binder and Gabrielle Revlock, BodyCartography of Minneapolis, MN, Katie Sopoci-Drake "Spacetime Dance", Nancy Havlik Performance Group, Miss Jessica Denson, Tihana Johvanic; and Heather Doyle (both nationally and internationally). 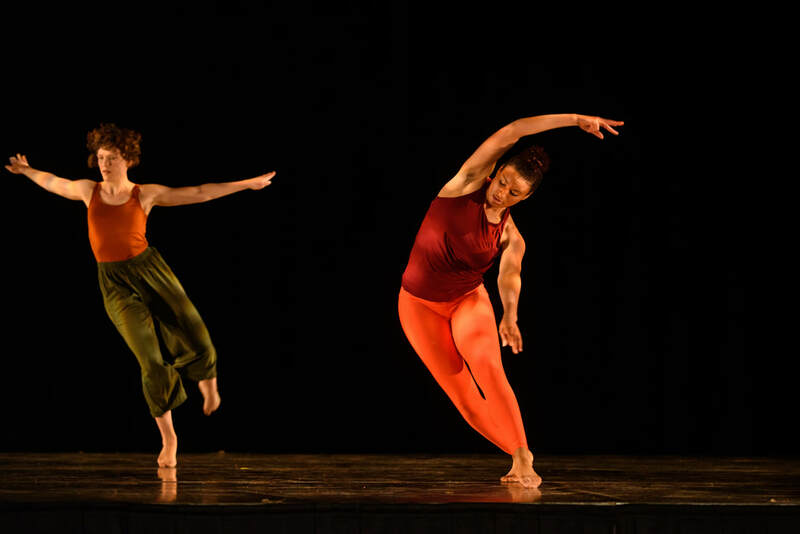 Chartamia's choreographic works have been presented in the DC Metro area including; Small Plates Dance Festival, Errant Movement Two of Us: Evening of Duets and Glade Dance Collective: NACHMO and a set work on Errant Movement performed at Hamlin Park Theater(Chicago). Chartamia is a frequent collaborator with DC experimental musicians and dance artists and is a current company member with Nancy Havlik's Performance Group, SpaceTime Dance and Guest Artist with Contradiction Dance Theater.